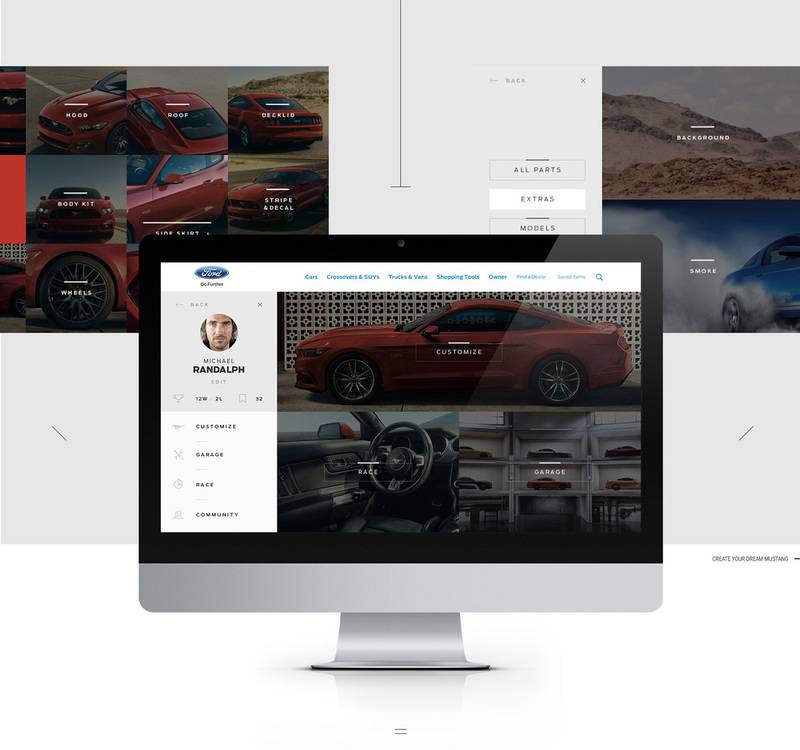 The all new 2015 Ford Mustang Customizer allows drivers to start their imaginations and customize their dream rides in real-time 3D for the first time in Mustang history. 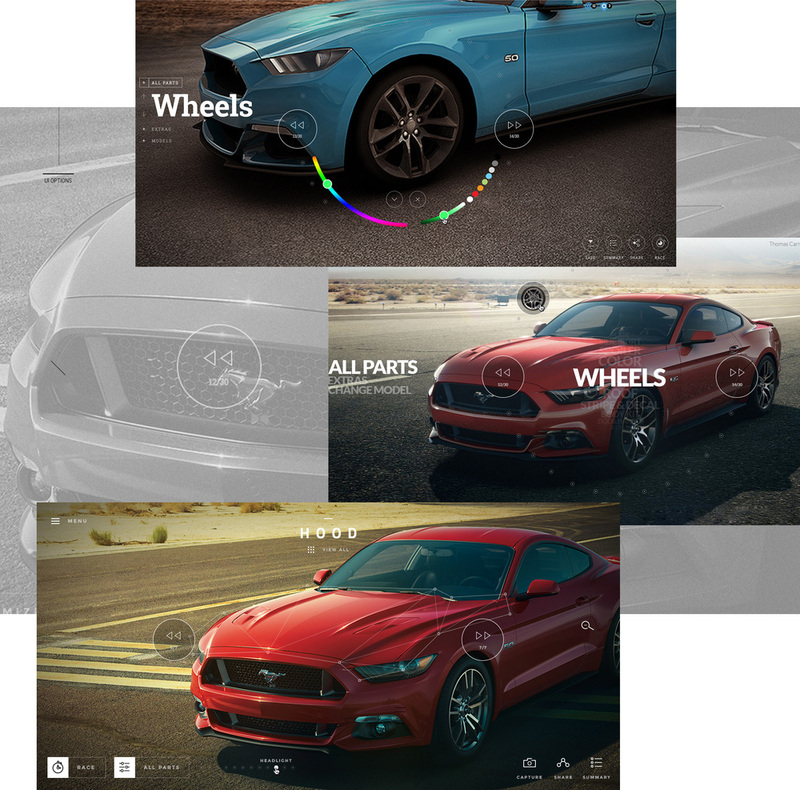 With a variety of models and environments, a collection of parts, infinite colours and decals, users can customize their Mustang as their hearts desire, down to the last letter of their license plates. With over 3 million possibilities, Mustang Customizer truly puts the user behind the wheel of their own dream ride. Important part of the Customizer is creating intuitive yet immersive personalization interface. I was exploring directions from gaming to editorial, before landing the final look & feel of the experience. Over 7 Million Mustangs customized to date.